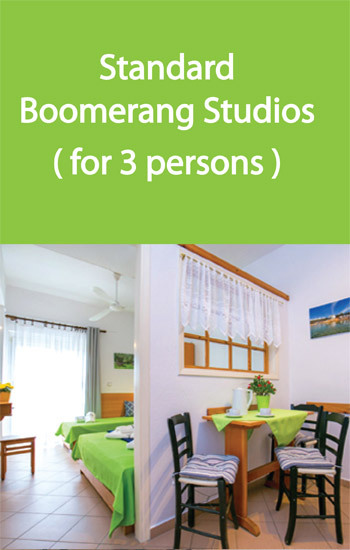 Book a Boomerang Studio Today! 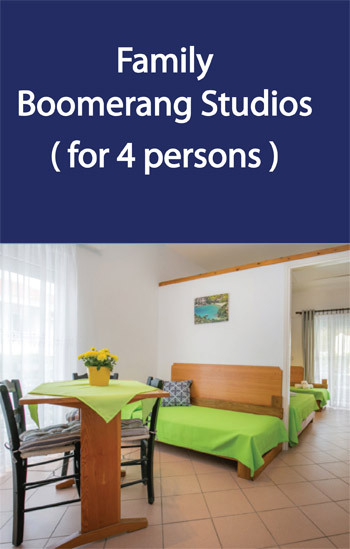 Boomerang Studios - family-run studio apartment accommodation - is located on the southern coast of the island of Thassos (northernmost island in the Aegean Sea, praised for its natural, unspoiled beauty). Come stay with us and be hosted by Greeks at their Australian best ! 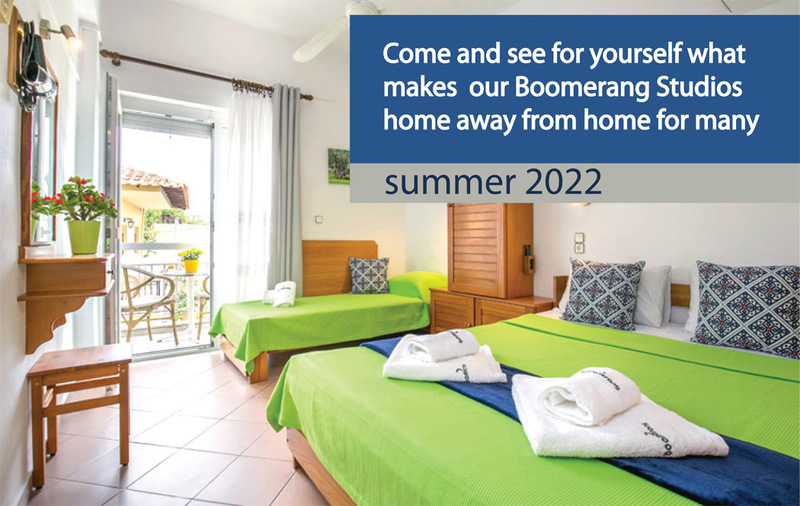 Enjoy the warm Greek hospitality coupled with the Australian-grown sense that holiday accommodation has to be spotlessly clean and equipped with abundance of thoughtful features and amenities for the guests to enjoy. Parking feature is advertised by many hotels across the central Potos district, but in reality guests are directed to park on a pre-booked public parking, accessed across a busy main road. 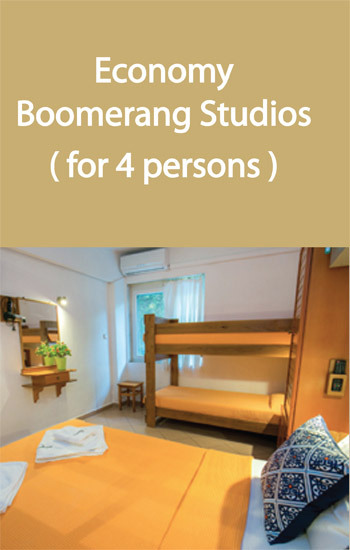 Stay at our studio apartments and have a unique opportunity to park in the very heart of Potos right next to your accommodation. We offer a proper private security parking on hotel premises, where each Boomerang Studio has its dedicated parking spot, with no extra charge. Boomerang Studios parking has a secure entry and it is under 24 hours CCTV surveillance. We are looking forward to a pleasure of meeting you, welcome !